PagineBianche, long a fixture in Italians’ homes. An Italiaonline's brand. Italian’s telephone directory since forever: official, quick and easy to consult. 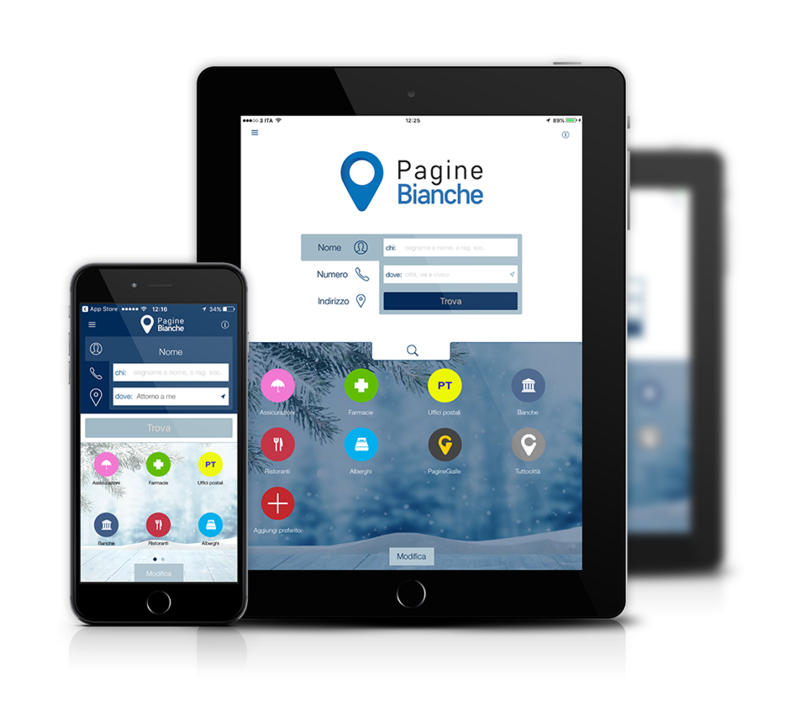 The PagineBianche (Italian White Pages) contain the addresses and fixed and mobilephone numbers of 10 million subscribers (including both companies and individuals): a vital, safe and reliable reference for finding the contact information of companies, individuals and institutions. Distributed every year in printed books along with the PagineGialle, with a circulation of 12 million copies in Italy, they are also available in an online version, on the mobile app and as the 12.40 directory service. It is the Italian website used most for finding individuals and companies’ phone numbers and addresses, as well as for quickly finding Public Administration contact info and the most useful phone numbers. 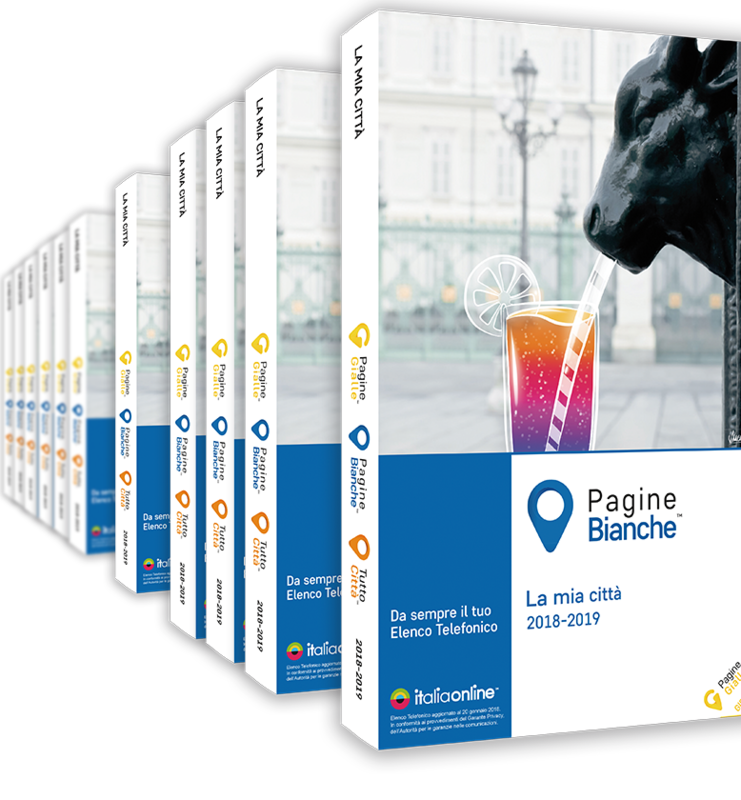 The data of PagineBianche.it is constantly updated with sections devoted to statistics and fun facts about Italian surnames. The website’s optimized mobile version and the app for smartphones and tablets make searching for information easy even when you’re on the move. Every phone number, ready to use 12.40 Pronto PagineBianche replaced the previous phone services called 12 and 412: now the world of mobile or fixed network phone numbers is completely available with a simple phone call.